Skincare By Alana is pleased to offer the complete product collection of 302 Professional Skincare. Please call 888-222-0637 for product and regime recommendations from one of our talented estheticians and to be an authorized customer. 302 skincare products utilize a new compound all the way from the rainforest of Central America. This incredible 302 products molecule, molecule 302, comes from the avocado and was uncovered serendipitously during an ethno-botanical research project. 302 skincare products has captured the secrets of the avocado in this molecule, which is a natural promoter of skin metabolism. This botanical formula has been preserved in 302 skincare products that initiate and proliferate the repair and regeneration of your skin. In its fateful discovery of the molecule 302 professional skin care found within the avocado, 302 skincare products has discovered not just improved skin quality, but an improved understanding of skin biology on a fundamental level. This breakthrough has brought 302 skincare products to where they are today- at the top of the skincare industry. On the cutting edge of regenerative skin esthetics and science ever since, 302 skincare products bring the natural healing properties of the rainforest right to your fingertips and right to your skin, for time-proven, safe, and effective formulas that pamper and nourish…for a visibly new you! We invite you to share in the discoveries of 302 Professional Skincare: A new molecule, a new science, a new you! 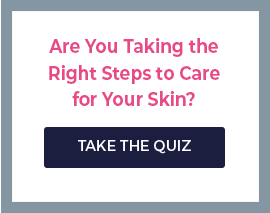 To learn more about 302 Professional Skincare, click the link! The entire line of 302 skincare products is now available through Skin Care by Alana, located in Orange County, CA. You can order 302 facial products like the 302 face and body bar online anytime or call (888) 222-0637 to speak to a live esthetician who will answer all of your questions and accept orders. If you are looking for any testimonials on my skincare products, visit my webstore! Skin Care by Alana is committed to providing quality products and superior client service. Free shipping to anywhere in the United States!